With Passover just around the corner, I’m starting to test the recipes I’ll use at seder. I always make my chocolate tort but this year in addition I decided to make something fruity. Okay – here’s the real story behind this recipe. I thought instead of making Tzimmes, I’d do something different with sweet potatoes. 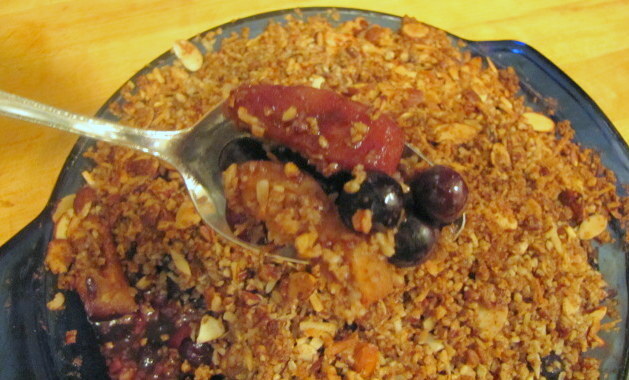 I thought maybe maple sweetened sliced sweet potatoes with some kind of a crumble on top. 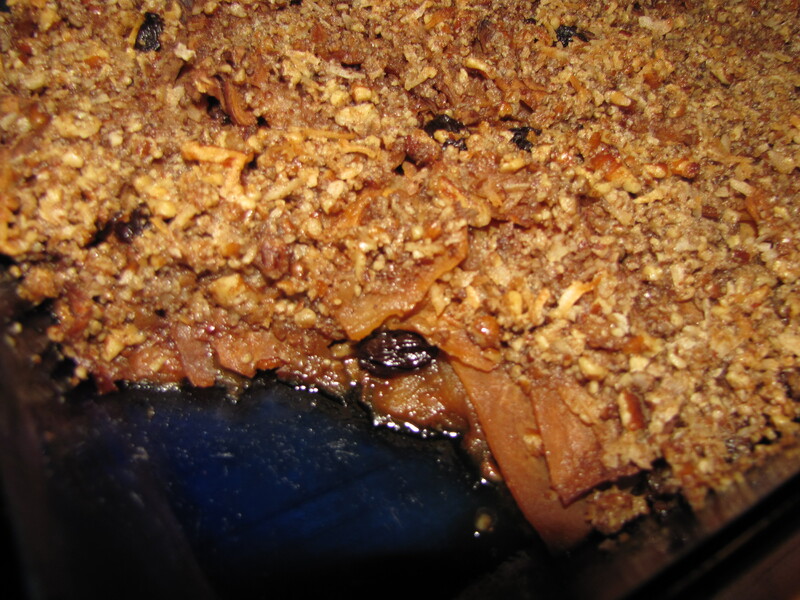 Then I thought ‘how about some fruit in that’…so in went sliced apples and raisins. I baked the whole thing forever ’cause nothing wanted to soften and I ended up with this weird dish that was almost dessert – but not quite. 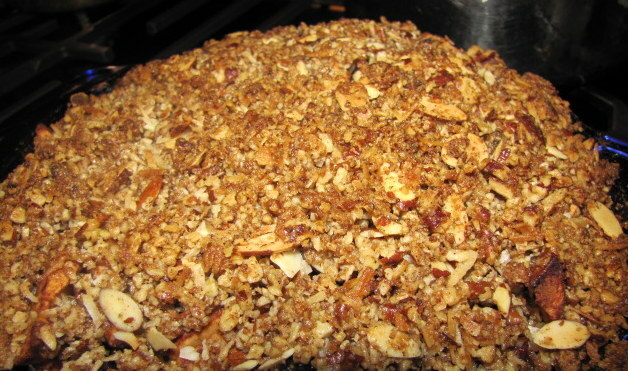 The topping, however, was divine. 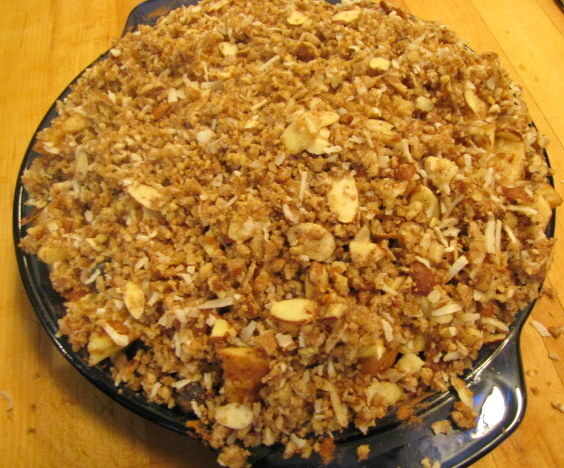 …and, of course, because it’s Paleo – it’s kosher for Passover! Enjoy! This dessert is good hot or cold but it’s really best just warm. If you still eat dairy, ice cream would be great with it…but for me Sharon’s Coconut Sorbet is a perfect topper. Preheat oven to 350°F. 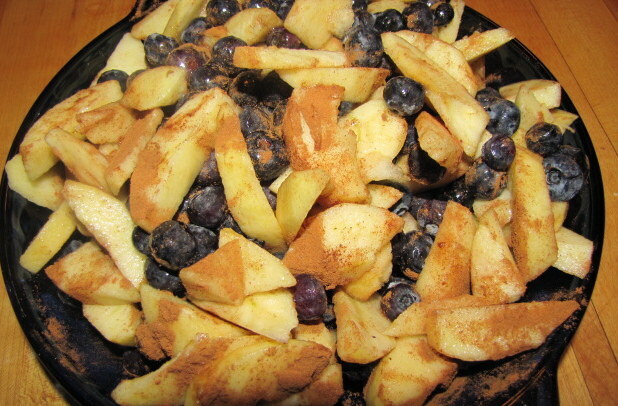 In a 9-inch deep dish pie pan, combine the fruit, maple syrup cinnamon, and 1/8 teaspoon of the salt. 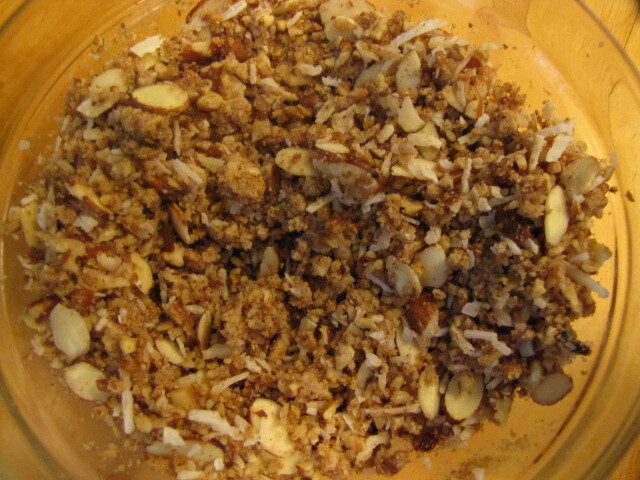 In a medium bowl, combine the pecans, coconut, almonds, maple sugar, allspice, and remaining 1/8 teaspoon of salt. Add the coconut oil and stir until combined. 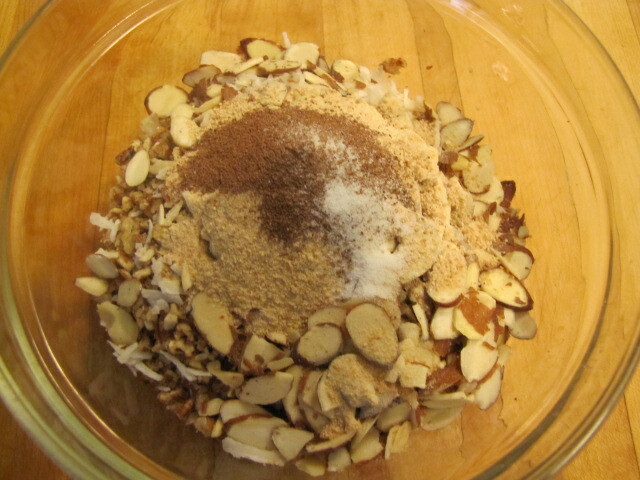 Sprinkle the topping over the apple mixture in the pie pan. Bake, covered, 45 minutes. 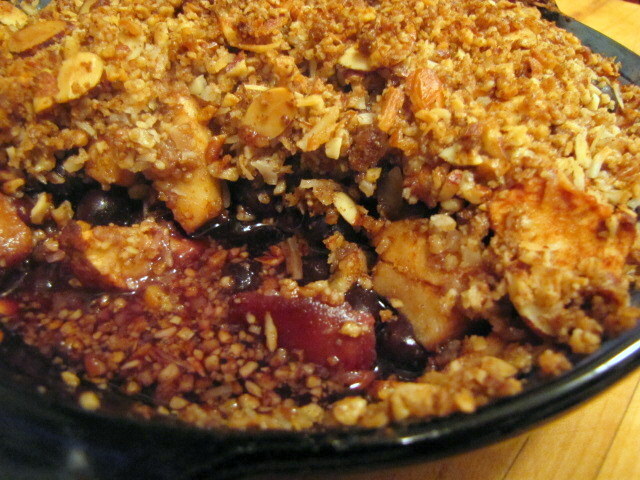 Uncover and bake 15 minutes longer or until fruit is cooked.